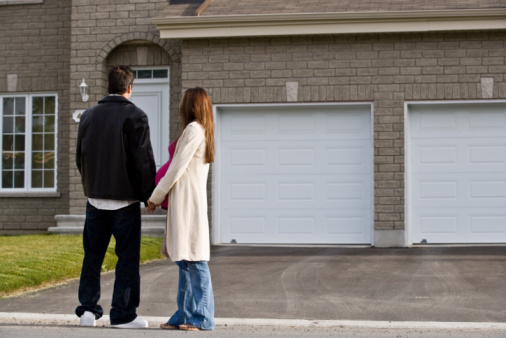 Your concrete driveway is one of the first things people notice as they pull up to your house. The driveway is exposed to a variety of substances that make it dirty. Cleaning it properly is essential in maintaining its appearance. You should clean your concrete driveway at least once a year to keep it looking its best. 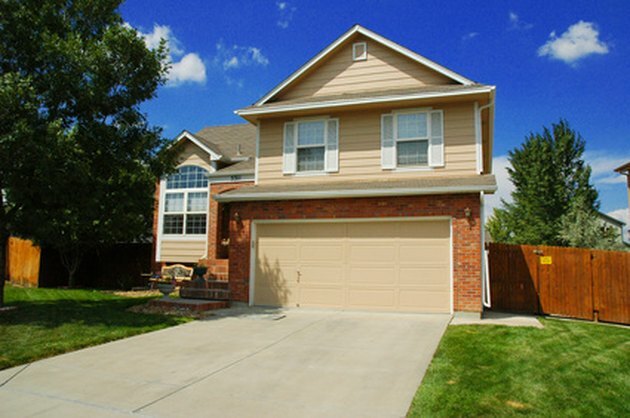 Spruce up the exterior of your home by cleaning your concrete driveway. If your driveway is in need of general cleaning, soap and water is all that is necessary. Put a few squirts of dish soap into a large bucket and fill it up with water. Dip a stiff scrub brush into the soapy water and scrub the driveway in a circular motion. Start at the back of the driveway and work your way toward the street. Rinse the soapy water from the concrete with water from the garden hose. Trisodium phosphate, or TSP, is a heavy-duty cleaner that can be purchased at most hardware and home improvement stores. Wear rubber gloves and protective eyewear when working with TSP. Add 1 cup of TSP to every gallon of hot water you use. Use a garden sprayer to saturate the concrete with the TSP. Let it sit for 15 to 20 minutes, then scrub the driveway with a stiff scrub brush. Rinse the concrete with water from the garden hose. The high water pressure of a power washer will effectively clean and remove stains from your concrete driveway. Set the power washer on a low setting. Start at the back of the driveway and hold the wand at least 12 inches from the surface. Move the wand from side to side to clean the driveway. Power washers can be dangerous, so it is important to use them with caution. Never point the power washer wand at a person, as this can cause injury. You should also avoid holding the power washer in one spot for more than about 10 seconds or you can damage the concrete. This common household product is not only good in the laundry, but will brighten up and clean your concrete. Mix a solution of 1 part chlorine bleach to 1 part water. Put the mixture into a garden sprayer and spray it onto the driveway. Let it sit for 10 minutes, then scrub with a stiff scrub brush. Rinse clean with water from the garden hose. Bleach is a harsh product, so wear rubber gloves and protective eye wear when using it. You should also wear old clothing that covers your arms and legs.